The food price crisis of 2007-2008 highlighted the fragility of food security and led to renewed calls to rethink agricultural policies and to transform the global agrifood system. Feminist scholars emphasize that food insecurity is not simply a result of food scarcity but rather a consequence of gender-blind and misdirected priorities set in agricultural development, economic restructuring and resource management. They criticize the market-oriented conception of food security in global food governance – that is the primary focus at the availability of and access to food. 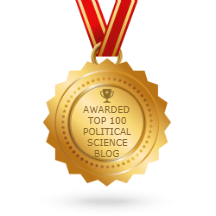 Emphasizing the deeper structural causes of hunger and malnutrition, feminist scholars shift their attention to alternative concepts and strategies in food governance (i.e. food sovereignty, right to adequate food, gender mainstreaming) which address questions of power asymmetries in agriculture and food systems. This panel focuses at the intensified efforts in the field of global food governance to solve the problem of food insecurity. On a political-institutional level, the panel seeks to scrutinize shifts in policy priorities in global food governance from a feminist perspective. To what extent have alternative concepts and approaches to food security been considered in global food governance after the food crisis? 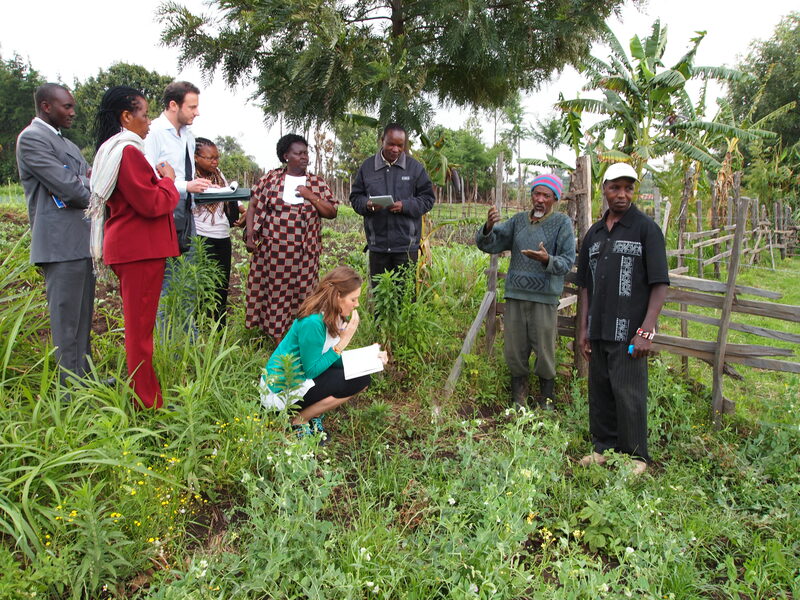 How attentive are these approaches to gender power relations in agricultural development? To what extent have these alternative approaches altered the parameters of global food governance in regard to gender equality? What is the state of gender mainstreaming in the field of global food governance? On a socio-economic level, the panel aims at assessing the influence of international agricultural, environmental and/or trade policies on local farming structures and food systems. How do shifts in food governance and transformations in agricultural development affect the gender division of labor in agricultural production, change women’s participation in agricultural value chains and alter gendered patterns of access to and control over resources? I mentioned in a post last week that I would be providing short profiles of some of the people we met while doing field work in Kenya. Mary has cows, chickens, banana, avocado and maize. She has stated to grow Napier grass as fodder for her cows to supplement the hay. 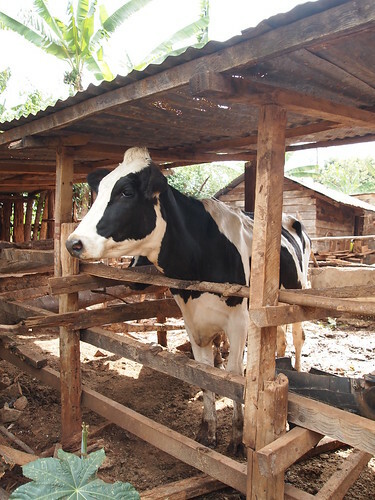 Mary makes use of the manure produced by her cows for both biogas and for compost. 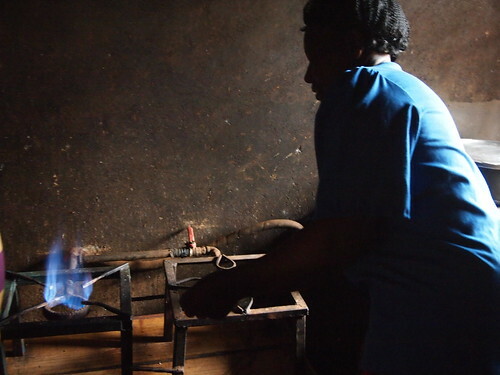 The biogas is connected directly to her stove, meaning she spends less time and money collecting firewood or charcoal. 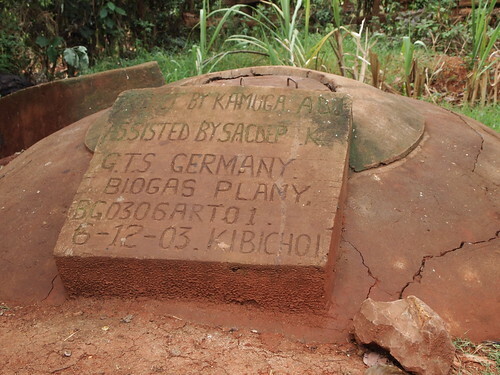 The farm-level biogas plant was installed by a German NGO in 2003. Mary explained that climate change has led to some big problems, especially around accessing enough water for her and her animals. This year, due to drought, she does not expect to harvest her maize. 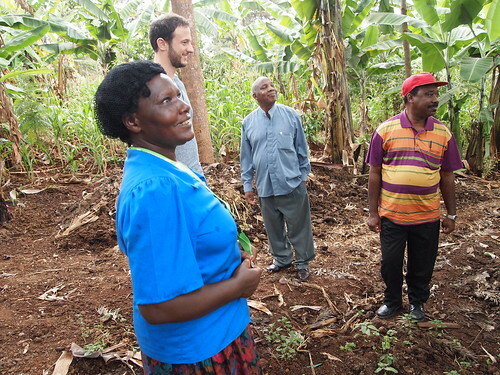 Mary works to teach other farmers in her area about the value of using manure as fertilizer. She is also looking to work with dairy goats which require less food, as her access to grass lands is limited. Sludge makes its way into this compost hole. 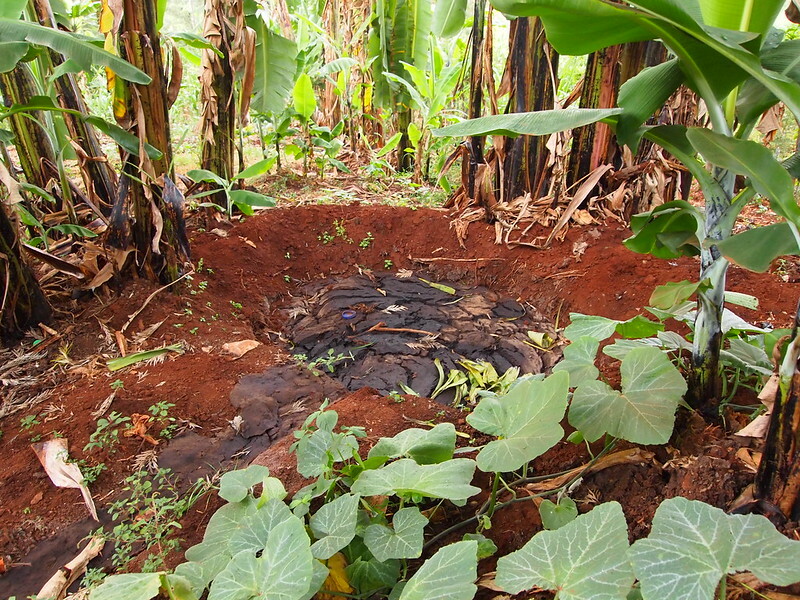 The compost is then used as fertilizers for her food crops. Hello from Kenya where I am working on a proposal on Institutional Change for Inclusive Development. Over the next few weeks I will be posting short stories and insights from our conversations and adventures in Kenya. Here we were this morning with the Dean of the School of Arts and Social Sciences and the Dean of the School of Tourism and Natural Resources from Maasai Mara University as well as local farmers. The farmer we visited had two acres with diverse crops and a very interesting water management scheme! I will tell his story soon!